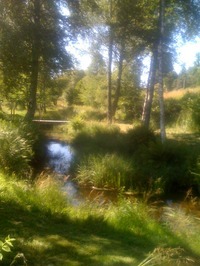 This page is from july 2011 until january 17. Yesterday opposition leader Victoire Ingabire appeared before the court since a long time, only to hear her case adjourned until February 13th. The request for the postponement was done on January 12, without informing defense. This means Iain Edwards lawyer of Ingabire, travelled from London to Kigali to hear prosecution tell him they need more time for the translation and analysis of approximately 500 documents sent in November from Holland. Although Ingabire understands all four languages used in these documents (Dutch, Kinyarwanda, English, French), she is denied access to them. Also there seem to miss parts in the file she got from prosecution, for example, the first interrogations by prosecution of the key witnesses. Yesterday another political prisoner was brought before the Surpreme Court. Bernard Ntaganda, leader of the socialist party Imberakuri. He’s accused of endangering national security, divisionism and ethnic divisions. Ntaganda already serves a sentence of four years. Also on the accusations of endangering national security, inciting ethnic division and organizing unauthorized protests. The accusations of yesterday are partly overlapping the earlier ones. On December 16th the High Court declined the new bail motion. So for the second time, opposition leader Victoire Ingabire will spend her Christmas in jail. Bail was requested based on the lack of serious evidence and because of inconsistencies and contradictions in the evidence. However, the judge told Ingabire that she was prosecuted for grave crimes and that the High Court has not yet received the whole evidence. The judge is probably referring to the documents sent from the Netherlands. They have to be translated. Although, translated? Most of the pages are lists of telephone calls made by Ingabire and others during a number of years. Even without a translation they are easily understood. The trial of Ingabire worries president Paul Kagame. The trial worries him so much, he speaks about it in public, something which is absolutely not done. Political leaders don’t talk about guilty or not during someones trial. It’s part of the ‘trias politica’ principle: the separation of powers. For your information, president Kagame: with the Trias Politica the state is divided in three separate branches (executive, legislature judiciary), each with it’s independent powers and responsibilities. It means the executive branch (you for instance) doesn’t meddle with the judiciary, the trial of Ingabire in this case. The trial of Ingabire also worries the Dutch government. But in what way it’s hard to tell. Holland was very quick in saying ‘yes’ to the demands of Rwanda. ‘You want information, you want files, you want us to do house searches for you? But off course.’ And off they went to get everything done for Rwanda, after a positive advice of the Dutch ministery of Foreign Affairs. One day before her bail was denied, the Dutch ambassador Frans Makken visited Ingabire in jail. The trial will continue on januari 16th 2012. What's it called if your not telling the whole truth? Or to be exact, if you're telling only 2 percent of the truth? Because that's exactly what our secretary of state, Fred Teeven (Security and Justice), has been doing. He mislead everybody in the file Ingabire. While everybody was occupied with the three documents, confiscated during the house search in Zevenhuizen (home of Ingabires family), the Dutch justicedepartmet silently collected no less then about 600 pages about Ingabire. They were all sent to Rwanda earlier this month. Nobody knew about these pages until the Rwandan judges spoke of them. According to our secretary of state, the documents were assembled according to the request of Rwanda, with the same criteria applied as with the confiscated documents in Zevenhuizen. His ministry followed the advise of the ministry of Foreign Affairs. That ministry still thinks Ingabire gets a fair and transparent trial. The trial in the meantime is postponed. The file of 600 pages, mainly in Dutch has to be translated. Let's hope they found an independent and professional translator. Until all pages are translated, the trial will be postponed. What the content is of those 600 pages, remains in the dark. De ministry of Justice won't allow a viewing. According to the secretary of state, it's up to the defense in Rwanda, Iain Edwards, to ask for a viewing. Question is if the ministry of Justice made any copies of these 600 pages. I don't think so, as both ministries have full faith in president Paul Kagame and his word of honor. I therefore advice both ministries to study (again) thoroughly the biography of Kagame. And ask how far this president will go, to realize his visions. It's now up to our parliament to decide if the secretary of state is guilty of withholding information. The actions of Teeven will probably fall under 'acted according to the letter of the law, not acting in it's spirit.' The question is: what are The Netherlands thinking to gain, by obliging rwanda in this fashion. Our ministry of Justice is not very generous with their information. Last week i asked specifics about the 600 pages. I never got an answer. I never even got an email, explaining why they were not answering my questions. The above information is therefor not from the ministry. 15.00 hrs The Radio-channel VPRO has decided not to through with the program around Martin Ngoga and Ingabire. 8.00 hrs Rwanda has a perfect PR machine. It reaches far. So far that tomorrow there will be a radioprogram with Martin Ngoga, thé head-prosecuter in thé Ingabire trial. Ngoga will tell that thanks to chits of Western union, collected at the offices at western union in Holland, there is proof Ingabire financed the FDLR.The prom was made because a report of the Worldbank said in 2 sentences that Ingabire had ties with the FDLR. There's also a witness who declares Ingabire wired money, through other persons, to FDLR to buy food, air tickets and shelter. I don't have to explain that these allegations are nonsense. This story exists of half-truths, distortion of facts and manipulated witnesses. A program like this, on this moment can have enormous consequences for Ingabire. The Netherlands supported the development of the legal system in Rwanda the past three years with 15 million euro. If you give so much money and time, you can't say, without loss of face, that the system is failing. That Ingabire has no fair trial. On the contrary. You emphasize the qualities of the system. Strange things happen with the documents, confiscated last year during the house search in Zevenhuizen, the family home gof Ingabire. The Dutch judge decided they (3 documents, in total 15 pages) could be sent to rwanda as Ingabire has a fair and transparent trial. These documents however have been multiplying themselves miraculously. They exist now of 11 documents of around 600 pages. Yesterday the trial was resumed. The trial was postponed because Ingabires lawyer had handed in his questions for the co-accused. On paper, oral questioning was not allowed, according to the judges. Yesterday the first answers were given. According to the UDF the co-accused had studies on the answers. One of the questions concerned a trip to kinshasa of two of ingabires co-accused, Tharcisse Ndtidurende and Jean marie Karuta. Karuta was ordered by Ndtidurende to make contact with members of the FDU. According to Karuta the mission was accomplished: contact was made. Tharcisse gave his orders by telephone, Karuta and he, were far apart. And although Tharcisse stated he had an email correspondance with Ingabire, only he knew of that correspondence. Nobody else. According to Tharcisse he could not go himself to Kinshasa, because he was still act if for the FDLR. Karuta could spare the time, he had congolese identity papers and was willing to go. Karuta has to prepare the trip with a Dieudonné in Goma. Dieudonné organizes his ticket and has further details of the mission. It became clear yesterday, with whoever Karuta made contact, it was not Ingabire. She has been visiting Kinshasa, but never met one of her co-accused. Because Edwards can only ask his questions on paper, it's difficult to ask for more specifics. The judges often don't understand the subtleties of the questions. They ask Edwards to explain per question, why he asks this question. When Edwars says he won't do that as the co-accused van adapt their answers accordingly, he is silenced. Today there will be more of the same: questions in writing and studied answers. Today the lawyers of opposition leader Victoire Ingabire start some form of cross examinations with the four co-accused who acted during the trial also as witnesses against her. An official cross examiniation is made difficult the national Prosecution Authority. Defence have to put their questions on paper, and prosecution will analyse their relevance. Then the answers will be formulated in cooperation with the four co-accused.. The NPA defends its decision by pointing out that the four co-accused are no witnesses and therefor can’t be cross-examined. The NPA overlooks the fact that prosecution has seen the four co-accused before and during the trial as witnesses. They were questioned for days on end, during the first weeks of the trial. According to the Rwandan law somebody who is accused of a crime, can’t be a witness at the same time. All four co-accused pleaded guilty right from the start. Since Thursday 27th of October, Ingabire defends herself against accusations of terrorist activities as forming an armed branch of her political party, complicity to acts of terrorism and conspiracy against the state. Statements of her co-accused play a crucial role. Key witness is Vital Uwumuremy. He was arrested and his statement together with his documents was the reason to arrest Ingabire. Problem: he was later arrested so his statement and his documents could never have been the reason for Ingabires arrest. So in official documents the date of his arrest is changed, to overcome that problem. Except for the statements of the four co-accused prosecution has a lot of emails, with dates that contradict each other. So gives Uwumuremy an answer to a question a few days before the actual question was asked. Also prosecution has a lot of documents in the 2500-pages file which authenticity they failed to proof so far. And by the way, Uwumuremy was never a major with the Hutu rebels in East-Congo, he was just a civilian driver. Last week Ingabire explained to the judge in detail that much of the compromising emails in her 2500-pages file were never written by her. Not an easy job if the judge has an hostile attitude. But according to FDU-treasurer Alice Muhirwa, Ingabire remains strong, despite the enormous pressure she is under. Tomorrow the trial continues. This week, the trial of Ingabire reached its second phase. Ingabire is defending herself against the last three accusations, one of them is the charge of conspiring against the rwandan government. For that she can get a lifelong sentence. Rwanda know no longer a death penalty. Yesterday High Court talked about the grenate attacks in Kigali, spring and summer 2010. Prosecution acknowledged that she could not link Ingabire directly at these attacks. However there must be some sort of truth in it, said prosecution al two key witnesses declared they made plus for a guerrilla. Key witnesses provided prosecution with information about money transfers and meetings,and emails. Ingabire answered she never wrote emails like that, and that she had not sent money to (ex) members of the FDLR (Hutu rebels in east-Congo). Ingabire pointed out that her name was never mentioned on documents of Western Union. She told the High Court she never met (ex) members of the FDLR, not in Brazzaville, not in Kinshasa. She also pointed out that the declarations of the witnesses were contradicting each other. Today opposition leader Victoire Ingabire has to defend herself against the accusation of spreading rumors aiming to ignite a revolution of the Rwandan people against the government. Last week she had to defend herself against the accusations of divisionism and genocide denial. In total she has six accusations. Today the lawyers of Ingabire asked for an adjournment until monday 24 october. They wanted to deliberate with Ingabire about developments and time to prepare new material. It's evident also that the hostile attitude of presiding judge Alice Rulisa is not easy to cope with. Her attitude seems to dominate the trial more and more. Meanwhile, the trial of Ingabire keeps drawing the attention of the international community. Her trial is closely followed by diplomats from the Netherlands, the United Kingdom and Belgium. Judge Alice Rulisa remains her same hostile self. These last days Ingabire was heard about two charges: the genocide denial and divisionism. The judge asked hundreds of questions, again in a hostile way. She looks at the law of 2008. According to that law, the genocide was a genocide on the Tutsi's. So, if Ingabire says that also Hutu's were victims during the genocide, she acts against the law. If ingabire says that also Tutsi's became murderers during the genocide, she is acting against the law. Rwanda, the country of Tutsi-president Paul Kagame, has it's own truth. Judge Alice Rulisa doesn't trust organizations like the united nations, Amnesty International and Human Rights Watch. Consequently she don't trust their reports and statements. When ingabire pointed to these reports, she therefore did not take them seriously. Just like her master, president Kagame. He's known for his disgust of for example Human Rights Watch and every organization which writes critically about him and his country. The whole world looks at the plane crash of april 6 1994 as the beginning of the genocide and its 1 million victims. Not president Kagame. So consequently not judge Alice Rulisa. She agrees with the prosecutor and finds pointing at the catastrophic consequences of the crash, as did ingabire, an act of genocide denial. Ingabire is also accused of divisionism. According to the Rwandan law, one is not allowed to speak of Hutu's and Tutsi's. (By the way, another law speaks of genocide against Tutsi's, so the law is not very consistent). Ingabire is accused of divisionism because she talks about the problem of Tutsi supremacy. She is not the only one who foresees difficulties. A cable of the US embassy of 2008, published through wikileaks, says exactly the same. The cable talks about Tutsi's occupying all the important posts in the country, Tutsi's having all the power. The cable says also that a government which wants the best for its people should change this situation quickly, before things get out of hand. Since friday, after the very disappointing decision of the judges last thursday not to honor the objections of defense, V is answering questions of the judges. She has to explain why she did things, why she said things, why she wrote things. She even has to explain about matters she has nothing to do with. She is confronted for example with documents she didn't write and with documents written before the new law of genocide denial was put into action. Yesterday she had to answer for nine hours, questions about genocide ideology. Today divisionism is on the menu. Saturday there is a party to celebrate Ingabires birthday. Everybody who wants to wish her well, please send me an email (andrajour@yahoo.fr). I'll make sure her family and Ingabire get these messages. In front of many people, including the ambassadors of the Netherlands and the United Kingdom, judge Angelique Rutazana rejected all objections of defence: ‘The defence procedural submissions on jurisdiction are baseless and the hearings must proceed without further delay.’ Lawyers in the Netherlands found the decision inconceivable, and the motivation something you can’t take seriously. Appeal is possible only after the trial. Opposition leader Victoire Ingabire was disappointed, but unbroken: ‘I am a political prisoner. Don’t be afraid, nothing will stop the on-going change’, she told the audience. Ingabire was given the opportunity to explain the political context of her trial and the continuing interferences of president Paul Kagame to silence his opponents. She said how her case was fabricated, right after her announcement to participate with the presidential elections in 2010. She told the court about the smear campaign against her family, including her parents. They were accused of genocide, while Hutu and Tutsi extremists slaughtered part of her family. Her father was imprisoned before the genocide. He was accused of being a supporter of the RPF-rebellion and of complicity in a failed military coup. After the genocide in 1994, he was appointed major by the current RPF-regime of kagame. He was arrested again when he was chosen as a member of parliament. He as in fact arrested on his way to the swearing in. He died afterwards. Ingabire pointed out her party could never register and members of her party are continuously harassed and intimidated. Her trial will continue today. Iain Edwards, her counsellor, already announced to appeal against the decision after the trial is over. Judge Alice will judge about her own jurisdiction coming thursday. The defence council filed a motion yesterday which asked the judges to strike out 75 percent of the charges and therefore 75 percent of the dossier of opposition leader Victoire Ingabire. Judge Alice needs to think about this, although she had the time to think about this since last week. It's hardly coming as a surprise. Prosecution off course found most of the objections 'invalid' and a way to delay the trial. Remarkable therefore, that the prosecutor himself used the words 'outdated evidence'. They told judge Alice they had included this outdated evidence to show how long and how deeply Ingabire was involved in her criminal activities. Prosecution therefore asked the judge not to look at minor prosecution errors, but to concentrate on Ingabires criminal activities. It would not do if Ingabire would be a free person thanks to the ingenuity of her lawyers. They have guts these prosecutors. They made major mistakes and now they humbly ask the judges to overlook their mistakes. We'll hear the decision of the judges on thursday. The past week defence took its time to explain to the judge and prosecution that a lot of charges against Ingabire are outside the jurisdiction of the Rwandan High Court. Necessary because judge and prosecution remain very hostile towards the lawyers and Ingabire, although they didn’t show it as openly as the weeks before. Defence had to tell over and over again, that the High Court in Rwanda can’t rule over possible crimes committed in another country. For example, Ingabire is charged with spreading rumours. But prosecution points at the time she was in The Netherlands. And there is no law in that country which criminalizes the spreading of rumours. Prosecution found it also hard to believe that a person can’t stand trial on the basis of laws, which are not yet introduced when the so-called crimes were committed. Prosecution found some hilarious arguments to contradict the objections of the defence lawyers (see also October 6th). 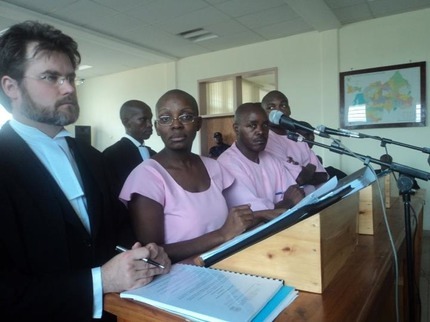 Last week was also the first week Ingabire was allowed to address the court. We saw a strong and confident politician. She told the court in no uncertain way that she was innocent, that she was not afraid, but that she was denied a fair trial. During the weeks of this trial I have been wondering what happened with the financial support of the Dutch government to the legal system in Rwanda. The Netherlands has been giving support for years. The money certainly not went to the education of the judges and prosecution. Judge Alice, by the way, is famous for the way she rules: she doesn’t reason, she just shouts something in the end. Chances are a 99,9 percent that she will be shouting what is prompted by her president. No one with any common sense will say this is a fair trial. In this light it’s remarkable the Dutch government makes itself co-responsible for this trial. 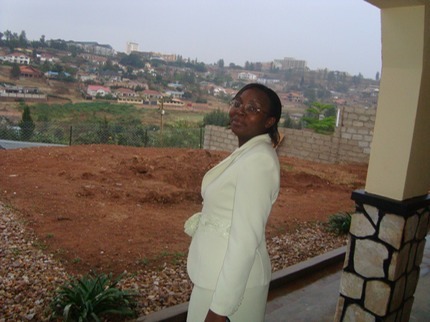 She executed two house searches, she heard witnesses, she opened her files for Rwanda, she gave access to everything confiscated during the house searches and she plans to send documents to Rwanda. Everything on request of the Rwandan prosecution. Off course the Dutch government refers to just following up a perfectly legal request for international support. That it’s all within the law. And if documents were sent or will be sent, it's also according to the law. Yes, off course. But it’s too easy just to point at the legal issues. This is a political issue and should be dealt with as such. The Dutch should ask themselves if they really want to be responsible for a trial, which is completely unfair. Maybe something is shifting though. It’s a positive sign the Dutch ambassador was attending the trial this week. Before, it were the bellboys, who, not hindered by any knowledge, said the embassy was very satisfied with the way the judges were handling things. While they could have seen with their own eyes how the judges abused defense and did not allow defence to speak out. Monday defense will continue with their explanation about the jurisdiction of the Rwandan High Court. After that the judges have to take a decision. That might take a few days. Yesterday, october 5, it was the first time during her trial, Ingabire could address the court. She stressed that she never violated any Rwandan law. 'I'm not afraid and I'm NOT guilty, even though prosecution claims the opposite. They misinterpret my speeches and their charges are pure speculation.' She said to be fully prepared to stand on trial if the law was used in a fair way. But in case of her trial, the law is being misused. She accused prosecution of coming yesterday with new accusations. Prosecution however stated that these charges were not new. She was asked about it during several interrogations. So how could it be new to her? A ridiculous way of reasoning of prosecution. One can be asked all kind of questions during an interrogation, but you have to be formally charged. These are the foundations on with to built for the defense lawyers. Ingabire told the court that the first time she was interrogated, february 10th 2010, was accused of genocide ideology, discrimination and terrorist activities. A new charge was added with her second arrest, october 2010. She was then also accused of inciting the population of acts of terrorism. According to Ingabire prosecution cannot add new accusations during the trial. Edwards made short work of the prosecution who argumented the laws of 2003, concerning genocide denial were valid in this trial. Ingabire was accused of genocide ideology based on the law of 2008, not of genocide denial, based on the law of 2003. You can't change the charges halfway a trial, because you see your argumentation is not valid anymore. Prosecution also was hilarious when it stated Ingabire was responsible for placing and maintaining online a book called 'The secret history', written by Abdul Ruzibiza, Tutsi and ex-comrade of president Kagame. In it Ruzibiza accuses Kagame to play an important role in the shooting of the plane on april 6 1994. This crash was the start of the genocide. It seems prosecution has lost its way and is barely able to find an answer to the objections of the defense. Ingabire has a powerful defense team, which uses in an admirably way the legal possibilities of the Rwandan law. Let's see what today's session will bring. Judge Alice was silent yesterday. She behaved completely different as one week ago, when she was openly hostile to the laywers of opposition leader Victoire Ingabire. Maybe the presence of the Dutch ambassador and the political representative of the Brithis high Commission had something to do with it. Certain is that a storm of protests were raised after her behavior last week. Prosecution attacked the objections made last week by the defence of Ingabire : the High Court has no jurisdiction in most of the accusations made against her, because laws were not yet published and acts were committed outside Rwanda. According to prosecution, firstly, there was another law from 2003, saying denying genocide is a crime. So there was a law before the actual law of 2008. They pointed to two cases of people who were found guilty in 2006 on genocide denial. Secondly, ingabire can be tried for actions outside Rwanda if the country where these actions were committed (The Netherlands) finds these actions illegal as wel. But in The Netherlands neither divisionism, or genocide denial is a crime. According to Boniface Twagirimana, vice-president of UDF Inkingi, the poltical party of Ingabire, new details were used wthout any legal foundation and without submitting them first to High Court. And because prosecution comes with new details, the indictment should be changed, because now there is no legal basis to keep Ingabire in maximum security. According to Twagirimana, Ingabire should be realeased as soon as possible. Today in all probability the judge will rule about the objections and jurisdiction of the High Court. Today the trial against Vicoire Ingabire will recommence. Tomorrow you'll find a summary here. The trial of oppostionleader Victore is far from fair. It became bitterly clear the 26th, when defense councellor Iain Edwards stated that the High Court has no jurisdiction in most of the charges brought against Ingabire. An openly hostile Judge Alice Ruhisa shocked everybody by saying she thought defense acted 'barbaric'. According to sources defense was very surprised as this personal insult was uttered in open court and against all principles of natural justice. The prosecution asked for an adjournment to prepare their response in answer to the objections from defense against the jurisdiction. The judge gave them eight days. Remarkable as the objections are legally not very complicated. And it it was the prosecution who complained five minutes later that defense was delaying tactics and wasting time. A complaint they often make, although it was prosecution asking the very first day of the trial for an adjournment because they would want to wait for documents from the Netherlands. Documents of which it was uncertain if and when they would arrive. Judge Alice Ruhisa appears hostile versus defense. She accused Edwards and Gatera to oversee the rights of the co-accused. But this is off course nonsense. Edwards and Gatera are there to defend Ingabire, not the other co-accused. There's also a big difference between Ingabire and the other four men. They pleaded guilty. Ingabire says she's innocent. Defense is therefore much more complicated, especially in Rwanda with a legal system which has not yet matured (this is an euphemism). 'you have no right to speak now', …… 'there will be no further debate about this issue'…… 'there is nothing more to say for defense'…… 'you have not the right to address the court'…. 'you have not the right to reply to me'. To deny defense to respond sets the ax on the roots on every trial. How can you defend a client if you are not allowed to respond on remarks, questions and criticisms addressed to defense or the accused? The right to respond is an absolute right in a court room. Rwanda should be no exception. But although the judge is hostile and shows much animosity towards defense, they will not ask for a recuse. For now, sources told me. 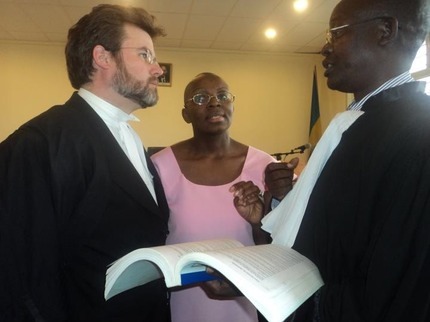 The Netherlands have to say the trial of opposition leader Ingabire is a fair trial. There's no other way because Holland is and was the major donor in reorganizing the Rwandan legal system. Over the last years warm times were formed, communication lines are short. We can see this in the trial of Ingabire, as prosecution quotes regularly from correspondence coming from the Dutch government. We can see it also in an article of Radio Netherlands Worldwide. Wich says Holland is lobbying at the European Court of Human Rights for extradition of Rwandan genocide suspects. Officially The Netherlands finds the Rwandan legal system not ready for an extradition treaty. According to the ministry of Foreign Affairs and de ministry of Justice, lobbying for extradition is a way of promoting the activities of holland in Rwanda concerning the legal system. This Holland promotion meanwhile, is a nightmare for the Rwandan community in Europe. Many of them fled Rwanda after the genocide. They know the Rwandan government is putting its critics on lists of genocide-suspects. Those lists are also sent to Interpol. Many critics of the Rwandan government are on Interpol lists. If the European Court allows extradition they're probably the first to be sent to Rwanda. Everybody knows a fair trial in Rwanda is not possible at the moment. Even with the high profile trial against Ingabire, witnesses are bribed or forced to adapt their statements, evidence is manipulated, lawyers are threatened. But most of all, a fair trial is impossible, because the president of Rwanda, Paul Kagame, has stated publicly the guilt of Ingabire. Later today more on the hearing of Vital Uwumuremyi. Iain Edwards, the English defense council of opposition leader Victoire Ingabire started yesterday, at the beginning of the fourth week, with a number of objections. He said the High Court had no jurisdiction in most of the charges brought against Ingabire. Either because her alleged activities took place outside Rwanda, or because her activities took place before the laws were published. Judge and prosecutor got very angry. The judge found it a 'Barbarian act', according to eye witnesses. prosecution accused the defense of delaying the trial. Defense could have come up with this a long time ago, according to the prosecutor. He asked for more time, to study the Rwandan laws to with Edwards referred in his brief. According to Edwards there's no legal basis for 75 percent of the 2500 documents presented by prosecution. 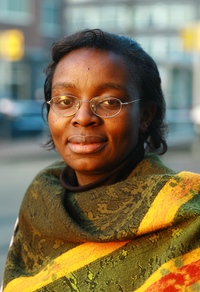 Today the Dutch lawyers of opposition leader Victoire ingabire are starting a quick procedure to prevent the sending to Rwanda of the three documents, confiscated during the house search in Zevenhuizen last year. They are summoning the Dutch minister of Foreign Affairs, Uri Rosenthal, not to send the documents to Rwanda. Because if he does send the documents, the Dutch government gives aid to a trial which is not fair. This is in violation with the European Convention on Human Rights (EHCR). Jurisprudence says if The Netherlands are helping Rwanda with it's trial, it's responsible for that trial. Meaning the Dutch can't give legal aid if the trial is in violation with the ECHR. According to the Dutch lawyers they already have 2 A4's with violations on the convention. The prosecution is playing a bizarre game by the way with the confiscated documents. In april this year a delegation visited The Netherlands, to take a look at all confiscated documents. In the end 9 documents were selected to be sent to Rwanda. They could be used again Ingabire in her trial according to prosecution. Because prosecution tampers with proof, the husband of Ingabire started a procedure to prevent the sending to Rwanda. The judge decided that 9 of the 3 documents could be send to Rwanda. Meanwhile in parliament questions were asked by Joel Voordewind (Christen Unie). The dutch minister of Foreign Affairs promised only to send the documents after informing parliament. The prosecutors statement, the first day of the trial, surprised a lot of people. In it he mentioned 15 documents and a summary of their contents. The statement was read aloud. People were surprised because officially, Rwanda was not in possession of the documents. So how could they be used as evidence against Ingabire? And what about the number of 15 documents? Only 9 documents were brought to the attention of the Dutch judge in the procedure of the husband of Ingabire. And the judge decided that only 3 documents could be send to Rwanda. Defense was at disadvantage because prosecution knew the contents of the documents, while defense had no idea which documents were meant. Plus, through this statement, Rwanda shows no respect to the Dutch legal system. The husband had started an appeal against the judges decision. With the presentation of the statement, all 15 documents were presented at the trial, so the appeal, whatever the outcome would be, was of contents were already known at the trial of Ingabire. The Dutch lawyers however continue with their procedure against the Dutch minister of Foreign Affairs. Every piece of paper, however small, can be manipulated and used as evidence in court against Ingabire. Today opposition leader Victoire Ingabire will testify in court. Yesterday Vital Uwumuremyi pleaded quilty to the three counts brought against him. He acknowledged his guilt in forming an armed group, his complicity to acts of terrorism and conspiracy against the state by use of war and terrorism. Question is if the testimonial of Ingabire has any effect on the judges. For president Paul Kagame 'that woman' as he used to call Ingabire is a very hot potato he wants to get rid of. In jail Ingabire can become a powerful symbol of resistance; she can become a strong voice for the opposition. Because Kagame is responsible for her safety is fairly impossible for him to get her poisoned or killed in jail. On september 21st two other accused were questioned. Noel Habiyaremye stands trial because he's accused of being a member of an armed group and because he formed a threat for state security by forming a military organization. He pleaded guilty on both accusations. During his questioning it became clear he never had any contact with opposition leader Victoire Ingabire. His contact was Paul Susesabega (manager of Hotel Rwanda during the genocide), according to Habiyaremye. He was trying to start an military organization with financial support of Rusesabega. New soldiers were recruited amongst the FDLR in East-Congo. Habiyaremye told the court that he was supposed to come in action when the political mission of Rusesabagina failed. Rusesabagina was trying to convince the international community to put pressure on president Kagame to start a dialogue with the opposition. Jean Marie Vianey Karuta stands trial because he's accused of being a member of a terrorist organization, conspiracy against the state by means of war and terrorism, and setting up an armed militia to attack Rwanda. Karuta also pleaded guilty. He told the court he was only following orders, for example from his commander Vital Uwumuremyi. His account made clear his role was a small one, he was hardly kept informed about new developments. Karuta saw Ingabire once, but only a few minutes. He never talked to her. Tomorrow he will be questioned again. The three documents, confiscated during the house search in Zevenhuizen, continue to play an important role for the prosecution. Not because they lack evidence, explained head-prosecutor martin Ngoga yesterday, but because he wants to present ALL evidence to the judge. Yesterday Ngoga complained again about defense stalling the trial. Sending of the documents was delayed because Dutch laywers liked to see the documents before sending them to Rwanda. During the trial of opposition leader Victoire Ingabire we're also (through prosecution) informed about the policy and activities of the Dutch government. Ngoga did not confirm yesterday that the Dutch government promised to get the documents in Rwanda before the end of the month. The end of september seems almost impossible: the Dutch laywers must have time to take a look at the documents, the minister of Foreign Affairs, Uri Rosenthal, must make a decision, and Rosenthal must inform parliament about his decision. Prosecution and the Dutch government appear to have a warm correspondence, according to Martyin Ngoga. From this correspondence the prosecution learned that the political decision will follow the decision of the judge; meaning the three documents can be sent to Rwanda. If the Dutch government sends the three documents it'll be with a restriction: they can only be used with the accusation concerning terrorist activities. That makes sense. Terrorist activities are also a criminal offense in Holland. The other accusations are not an offense in Holland or don't exist in the law. One remark of judge Alice Rulisa seems to paint the atmosphere in court. She snubbed Iain Edwards, laywer of Ingabire about the duration of the trial. She seemed to forget that is was the prosecution who took most of the three weeks of the trial. It's only since monday afternoon, the defence's turn. Yesterday it was Tharcisse Nditurende's day. He was questioned by the judges. The first hour he had to do without his laywer. Why this man came late on the precise day his client was questioned, is not known. 11.00 hrs: Rwanda gives permission to the Dutch laywers to see the three documents confiscated during the housesearch of the Dutch familiy home of ingabire.The Dutch laywers asked permission because the Rwandese prosecution already had the possibility to browse through all confiscated documents, and were therefore informed of the contents of these three documents. 8.00 hrs: The first two weeks of the trial of oppositionleader Victoire Ingabire were a 'prosecution'-show. Yesterday it was the turn of the defense. 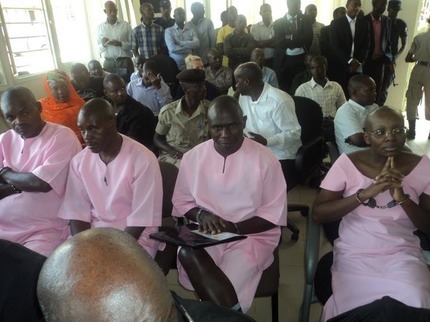 Together with Ingabire four former members of FDLR (Hutu-rebels in East-Congo) stand trial. Victoire and the four are accused of forming an armed organization, conspiracy against the state and terrorist activities. Ingabire alone is also accused of divisionism and genocide ideology. De four men pleaded guilty from the beginning, and act in doing so as witnesses for the prosecution. This week the accused each take their turn, Ingabire is the last. She's expected to start her defence next week. Yesterday it was Tharcisse Nditurende. He said that the prosecutor was right and that he was guilty. Because he's also a witness for the prosecution, they asked Nditurende to be much more specific. He has to explain in detail what happened. That'll be today. A detailed account of the four men can help the prosecution. But it can also be of help for the defense of Ingabire. Their stories must be strong and consistent. And as they are a web of lies and half truths, that could proof difficult. 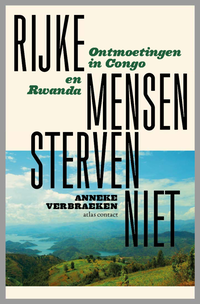 The state laywer of The Netherlands has asked the Rwandan authorities permission to show the 3 documents to the Dutch laywers and the husband of Victoire Ingabire as well. Up until now, only the prosecurion knew the contents of the 3 documents. The 3 documents were confiscated during a house search of the family home of Ingabire last year. No furher action will be taken by the Dutch government untill reception of the answer of the Rwandan authorities. It means the 3 documents won't be sent to Rwanda until an answer is received. The Dutch ambassador Frans Makken, regrets the value judgement a spokesperson of the emabassy gave with regard to the trial of opposition leader Victoire Ingabire . According to the spokesperson of the Dutch embassy in Kigali, the judges perform their work meticulously, so was stated before RNW. According to Mr. Makken this is not the official stance of his embassy, nor was it authorized as such. The English laywer of Ingabire, Iain Edwards, is far from satisfied with the judges. According to him they don't do anything much, and when they do something its negative for the defence. So far defence has had no chance at all to say something substantial. It's the prosecution who is allowed to present its case from day one, september the 5th. Prosection and defence is treated in a completely different way. Defense is searched, humiliated, harrassed, even had their water bottles taken away. The prosecution is treated as saviour of the country. A complaint about this dicrimination was rejected by the judges. Yesterday the prosecution continued with the accusation of genocide ideology. Instead of pointing to specific documents which could proof the guilt of Ingabire, prosection said the judges had see whole dossier (more then 2500 documents) as proof. A protest of the defence (how can you defend yourself if you don't know what the specific proof is) was rejected again. According to Edwards, the judges didn't even grasp the point. Question is: how can the Dutch embassy say the judges are doing a good job? They probably get all the cooperation of the prosecution and the judges. This trial is of the utmost importance to Rwanda and it's president. Regrettable that the embassey and RNW only listened to one party so it seems. Yesterday prosecution announced that the family of Ingabire no longer resisted the sending of documents to Rwanda. The prosecutor had received a letter from the Dutch embassy, stating that preparations had started for the tranfer of the documents. The prosecutor expects the arrival of the documents by the end of this month and wanted therefore an adjourning of the court until the end of september. The defense protested: why waiting for documents of which it's not certain if and when they will reach Rwanda. et lijkt onwaarschijnlijk dat de documenten eind september op het bureau van de aanklager zullen liggen. De minister van Buitenlandse Zaken, Uri Rosenthal, heeft beloofd de Tweede Kamer te zullen informeren voordat de documenten worden opgestuurd naar Rwanda. It seems improbable the documents will be on the prosecutioners desk by the end of september. The Dutch minister of Foreign Affairs, Uri Rosenthal, promised to inform the Dutch parliament before sending the documents to Rwanda. Member of parliament Joel Voordewind (Christen Unie) will certainly ask questions. Although the prosecutor no longer talks about the amount of documents (see 13 and 12 september, and his opening statement ) to be sent to Rwanda, he appeared to have found new documents, confiscated during the house search in the Dutch village Zevenhuizen, family home of Ingabire. He talked yesterday of telephone bills as a proof Ingabire contacted rebels, and of statements from people in Holland who worked with Ingabire. Those statements are a threat for the stability of Rwanda, according to the prosecution. Also on the agenda yesterday was the genocide ideology of Ingabire. Proof for this ideology are her speeches and a book she wrote. The prosecution read some fragments: how the Rwandan goverment had comitted genocide against Hutu's and had been marginalizing them because they were not allowed to own money and land. In the mean time the Rwandan minister of Foreign Affairs decared Ingabire guilty. She stated this weekend on Radio France International that Ingabire had committed very serious crimes. The minister apparently doens't take the trial and it's judges very seriously. Yesterday I talked about the lies of prosecution in the trial of Ingabire: prosecution says in it's statement that 15 documents are allowed to be send to Rwanda, so the Dutch judge declared. How come prosecutions uses these 15 documents in the trial? Officially they have no knowledge of the contents of these 15 documents, because they are not in the possesion of the prosecution. Worse: they'lll never come in the possesion of the prosecution because they will never be sent to Rwanda. The Dutch judge only allowed 3 (three) documents to be sent to Rwanda and not 15! Yesterday prosecution made clear wich line they adopt: they stall for time and hope this trial will take indefinitely. They want to wear out the defence and opposition leader Ingabire. They think the English laywer Iain Edwards will run out of means so he has to return to England. Edwards is doing the defence for Ingabire not for a fee; he only gets his expenses paid. The accusation against Ingabire contains 6 points. Yesterday prosecution took its time: only one point was spun out. They can play this game as long as they think is profitable. Ingabire never was asked to give a statement. So far defence has not had it's turn. Reading the statement of the prosecution, one can see how the truth is distorted. They talk about 15 documents wich can be send to Rwanda, according to a Dutch judge. These documents were confiscated during the house search in Zevenhuizen, family home of Ingabire. 15 documents are a lie! The Dutch judge only gave permission to send 3 documents to Rwanda. The family in the mean time, has decided no longer to try to stop sending these documents, as they have confidence these documents cannot be used by the prosecution, because they contain nothing damaging. Prosecution talks about a condamning letter to Abdoe Dioef, former prime minister in Senegal, in which Ingabire explains her worries concerning the lack of equal power for Hutu's in government and army. Remarkable, as in the same year 2008 the American embassy expressed the same concerns (Wikileaks). They're worried that Rwanda is still very much divided along ethnical lines. They see it as dangerous for the future. They express their hope that the Rwandan government will work on this inequality. Up until now the Rwandan government has done nothing. On the contrary. Prosecution talks about emails and faxes, sent to Ingabire, in which she's asked to take military action. Since when are emails like that proof for ones guilt? Any lunatic can send me an email, asking me the most weirdest things. It does not mean I know him or her and even agree with him or her. Prosecution talks about political pamflets, written by ingabire. Via these pamphlets she's spreading rumours which cause instability and divisionism. It's typical how Rwanda reacts with people who criticize governement. They are not well informed and spread rumours. But in a democratic country every politician can speak out. Through pamphlets, brochures, interviews. There's nothing illegal with that! Prosecution talks about sending money through Western Union. Who ever knows the ways of Africans living abroad, know they send money to relatives and friends through Western Union all the time. According to the prosecution, the Dutch investigated payments through Western Union. Funny that in the end, only one document must proof that Ingabire sent money to FDLR-rebels in East-Congo. Tomorrow I'll place the document of the prosecution on my website. Everybody can see for him- or herself that it's one big fairy tale. Rwandese president Paul Kagame visits Paris for the first time since the genocide in 1994. On his two-day visit he meets the diaspora, big companies and off course Nicolas Sarkozy, the French president. "We only look at the future", he said during the short question-answer game at the Elysee with the international press, monday afternoon. Efficient answer. And very remarkable for a president who uses THE PAST to evoke the guilt of the international community. Who uses THE PAST for the introduction of dubious laws and a lack of press freedom. Who uses THE PAST to arrest members of the opposition like Victoire Ingabire. Does this amnesia means that all people arrested for divisionism and genocide ideology are liberated? There are not much possibilities for the press to see or talk with Kagame. He avoids all critical journalists. Only those who praise his song are allowed to come a bit closer. Security was heavy during the visit. Streets were cordoned off. Three busses with vriends of the Rwandan oppostion (read Vicoire Ingabire), arrived in Paris yesterday afternoon for a short demonstration. Amongst them the husband of Ingabire. The busses were heavily escorted. I hope to give some more details later today about the trial of Ingabire. The prosectution takes more time for their accusations as planned. They will finish today; so defence can start monday. Yesterday the prosecution told more about the alledged relations between Ingabire and the FDLR, de Hutu-rebels in East-Congo. Through different parties in Belgium, tanzania, Uganda and Congo money should be transferred via Western Union. Co-accused Mr Uwumuremyi acted as go-between, another co-accused Mr Nditurende, was the one who received the money and bought weapons, accoridng to the prosecution. Both have said they are guilty. Ingabire denies everything. Because ingabire was not satisfied with the performances of the FDLR, according to the prosecutor, she started an armed wing of her political party UDF-Inkingi: the Coalition of the Democratic Forces (CDF). Also Ingabire started the training of young FDLR-rebels, who were asked to continue fighting in Rwanda instead of East-Congo. To proof al this, prosecution talked about email-correspondance between Ingabire and Nditurende and Uwumuremyi. Ingabire wrote that they should do their duty, while she was doing her political and democratic duty. Reason for all this was not to overthrow the government -impossible according to the prosecution- but to destabilize Rwanda. These emails... A year ago, about two months before her arrest in october, I talked to Ingabire. We sat on her veranda. It was dark. Down in the valley we knew the car of the intelligence service, watching and waiting. On the other side of the hill we could barely make out the wite building of the High Court. She told me a lot of people tried to talk her into some form of military action. She never would do that, she said, because she was convinced only a peaceful, political and diplomatic way could save Rwanda. She pointed at the screen of her computer.There's another one. But I don't fall for it. it's too dangerous. I tell him I only want a peaceful solution. But off course that's not what he wants to hear. Six months after this conversation I heard that the laywers of Ingabire found out that emails had been tampered with. Content and data were adjusted. Childsplay, try it yourself! The second day of the trial of opposition leader Victoire Ingabire (yesterday, wednesday 7 september) was the day of the prosecutor. He held a long speech in which he took his time to explain the judge and the people in court about the accusations. The New Times (and thus the government, and thus president Paul Kagame) wrote it's article af if it already had been prooved without any doubt that Ingabire has ties with the FDLR (hutu-rebels in East Congo) and that she had been in contact with them during trips to kinshasa and Congo Brazaville. According the New Times had the prosecution new evidence of ties between the FDLR and Paul Rusesabagina, the former manager of Hotel Rwanda, who saved the lives of many Rwandans during the genocide. That the situation in court is not really how described by The New Times, shows Boniface Twagarimana, the vicepresident of UDF Inkingi, the political party of Ingabire. He writes that on arrival the defense laywers were harrassed by the guards. They even had to leave there bottles of mineral water behind, while the prosectution had no trouble at all in entering the court. The defense laywers protested about the haraasements, but the prosecuter said that the situation was a correct one: the laywers defended criminals, whlie the prosecution was there in the interests of the state and it's people. The judges followed the reasoning of the porsecutor. They rejected the objections of the defense lawyers. It seems like everything is done to humiliate Ingabire and to put her down as a criminal. 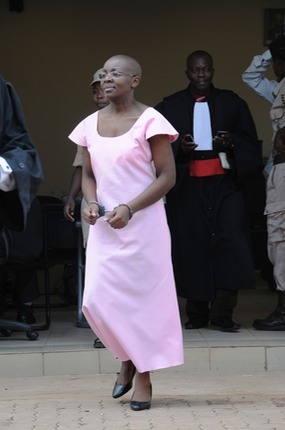 She could wear her own clothes in the courtroom, but is obliged to wear the pink prisoners uniform. Also her head is completely shaven. She is even forced to wear handcuffs. Unneccesary, but it confirms the image of a dangerous terrorist. According to Twagirimana, is there a fear with the defense laywers that harrassments and threats will grow worse during this trial. It's even possible they get arrested. That's exactly what happenend last year wit the US laywer peter Erdinger. He came to rwanda to defend Ingabire. Erdinger, also a laywer at the Rwanda Tribunal at Arusha, Tanzania, was accused of genocide ideology. Erdinger had to stay in prison for several weeks before he was released. His name was smeared by the Rwandan government. The courtroom seemed to be reserved for 'hotshots' and security people. Ouside some 150 people had gathered to listen to the trial. That appeared to be impossible as the audio installation did not work. Today prosecution will finish. After that, it's up to the defence. Today will be the second day of Ingabire's trial. In his-masters-voice The New Times, they tell proudly about the fair trial and it's transparancy. The writer almost pees his pants of joy when he talks about the independent judges who even dared to say 'no' to the prosecution. No delay was allowed. The writer describes his experiences in the courtroom: everybody agreed that everything went smooth. Diplomats, journalists, UDF-partymembers, everybody agreed that proceedings went correctly, according to the New Times. Food for thought if one has to be as jubilant as the New Times after one day of trial. You can read ibetween the lines that the Rwandan government finds this trial of the highest importance. The international community has it's eyes in the courtroom as the people of Rwanda. Kagame has to manouver without making one single mistake. All these eyes might proove a buoy for Ingabire. It's up to the prosecutor to come up with clear evidence. If his accusations depend on three documents from the Netherlands, he sure has a problem. The official dossier counts more than 2000 pages. Yesterday, the Dutch laywers of Lin Muyezere, the husband of Ingabire, who still lives in Zevenhuizen, asked the court not to continue with the trial that had to prevent the sending to rwanda of the three documents, found at the house search in Zevenhuizen. They motivated their action by stating that they did not want to delay the Ingabire-trial in Rwanda. Also by letting sent the documents to Rwanda, Rwanda prosecution could not blow the contents to myhical dimensions. The laywers however are taking a risk: one word in the wrong place could be used by prosecution and be highly damaging. The trial of oppostionleader Victoire Ingabire will continue coming wednesday. Prosecution complained about the quality of the defense interpreter and asked for a new one. Ingabire has an English and a Rwandan laywer. Prosecution made clear that they were waiting for three documents to arrive from the Netherlands. However, the judges decided not to wait for the documents but to continue with the trial. They allowed one day of delay for the search of a qualified interpreter. The three documents were confiscated after a house search in Zevenhuizen last year. Zevenhuizen was the residence of Ingabire. Her husband and children are still living there. According to prosecution they contain proof of Ingabires relations with FDLR. One of the documents contains a written statement, according to prosecution, of one of Ingabires employees. It sais that money was transferred to the FDLR, because ingabire asked to do so. The money was transferred to Vital Uwumuremyi, who is also arrested and on trial together with Ingabire. Uwumuremy pleaded guilty. Three other officiers stand trial at the same time: Tharcisse Ndtiturende, Noeli Hbalyaremye en Jean Marie Karuta. Another confiscated document appears to be the minutes of a meeting in Brussels. At that meeting the start of a military wing of the political party was discussed, according to prosecution. It's remarkable that these three documents are of this big importance to the prosecution. The prosecution has declared, since Ingabires arrest in october 2010, that they have masses of proof and that new evidence was piling up. It was the legitimation of her arrest and her stay in prison. Because of all that evidence bail was rejected time after time. And now all the accusations must be proven by three documents? Let's hope the Dutch have made lots of copies of these three documents. Although prosecution can't be that foolish to manipulate these three documents, you never know. Prosecution is having a hard time and will probably do much to prevent to lose face. Today starts the trial against oppostion leader Victoire Ingabire. She is being accused of divisionism, forming an armed wing of her political party, of destabilizing the country, of relations with the FDLR, the hutu-rebels in Est Congo and having a genocidie ideology. That last accusation should mean Ingabire wants another genocide. Nonsense off course. Ingabire denies everything. These kind of accusations are often used in Rwanda to arrest those who criticize the government. It's a lot harder to criticize when your in jail, than out of jail. Also in prison for example is Bernard Ntaganda, the leader of the socialst party in Rwanda. In Rwanda everybody knows it's a political triall. The Dutch government is hesitant in taking that stand. The Dutch government believes in a fair trial, even though president Kagame has said on several occasions that Ingabire is guilty. Something that cannot be in a state where -in name- judges and government are two seperate entities. An honest trial is impossible, even though Rwanda does her best to make it look like a fair trial. The dossier contains more than 2000 pages, but witnesses were harrased, threatened and manipulated. Documents were falisfied. Time after time Ingabire and her laywers were subject of oppostion to do their work properly. They could not speak in private, parts of the dossier were witheld and there was never enough writing material for ingabire. Also she was denied a visit of her medical doctor. Because of this an innocent infection became a real threat a few weeks ago. But stil prison management was hesitant to send her to a hospital. Only after mediation of the Dutch embassador was she allowed to go to a hospital. This means obviously, Ingabire is not in a top condition when this trial starts. The trial today starts with massive attention from the internation community and the international press. Kagame is under a lot of pression. International support is diminishing and also within his inner circle, support is not as much as it used to be. Old friends turn their backs on their former comrade in arms. It means Kagame becomes more and more isolated. The question who will be the next president of Rwanda gets very important. Obviously, Kagame finds himself the best man. But there's also talk that maybe his son, or his wife will be running for president. And off course, kagame can also change the law, to be able to do his job a third time. But all parties concerned know that this could be a hazardous step in a country that is still widely divided along ethnical lines. Where 80 percent of the population is not satified with the current situation: they are poor, neglected and have no real power. The respite given to the defence of Rwandan opposition leader Victoire Ingabire until September 5th should be used by human rights organizations and the international community to raise the alarm bells on the situation in Rwanda concerning the political space and freedom of speech. The Dutch government for example, -as one of the biggest donors, and with it's own ambassador Frans Makken as spokesman of the donors-, should acknowledge that the trial of Ingabire is politically motivated. They can take a first step by refusing to send three documents, taken during the house search in Zevenhuizen, December 2010, to Martin Ngoga, the prosecutor. The Dutch should also acknowledge that giving up freedom of speech, freedom of press and political space, cannot be tolerated as a price to pay for economical growth. 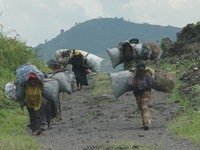 A growth by the way for a select group of people, as 60 percent of all Rwandan is still living under the poverty line. The Dutch government should also acknowledge that the juridical system in Rwanda is not independent. They know probably best of all donor-countries, because the Dutch gave a lot of support to improve that system, both in money and energy. They know it's not perfect, because an extradition treaty with Rwanda is stalled until the system has obtained a basic quality which guarantees a fair trial for everybody. The Dutch government should be the initiator on European level to start discussions on the weak points of today’s Rwanda. There should be talk of withholding further support until things have really changed. Because, although president Kagame hates the arrogance and the moralist attitude of the international community, and although he often boasts about the countries economic achievements, he is still dependent of international support. As in the past and present, Rwanda cannot do without the financial aid of donor countries. But also organizations as Amnesty International and Human Rights Watch should use the next few months 'to raise hell'. They understand fully what is going on; they publish report after report concerning the undemocratic conditions in Rwanda. Their voice, if they speak out loudly enough, can change things. Maybe they speak up so strongly, that the United States and The United Kingdom, two of the biggest Rwanda-supporters, dare to listen to their own growing doubts and react accordingly. For Paul Kagame, proud president of Rwanda, the trial against Ingabire is of the utmost importance. 'That woman that came from nowhere' (he never uses her name) causes him nightmare after nightmare. For him she's the personification of his worst fears: she can destabilize his country, with her cuffed hands she's seriously threatening his position, while the world watches every move he makes. Because this trial is so important, he will do anything for a positive outcome: the conviction of Victoire Ingabire. For the world must see that she's a dangerous terrorist. Therefore the trial in September must have a semblance of correctness, of fairness. The world must see that the proof against Ingabire is strong. The world must see that Kagame is right and Ingabire is wrong. It's up to the world to decide.